"The Best of Enemies" depicts the true story of Ann Atwater (Taraji P. Henson) a civil rights activist, and C.P. Ellis (Sam Rockwell), a local Ku Klux Klan leader, during the racially charged summer of 1971. Atwater and Ellis come together to co-chair a community summit on the desegregation of schools in Durham, N.C. The fiery debate led to an understanding that helped change not only their relationship but the community around them. 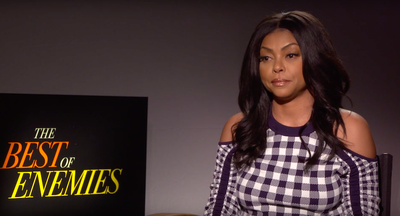 In this video interview, journalist Katherine Tulich sits down with Taraji P.Henson to talk about the film, and her transformation to play this important role.